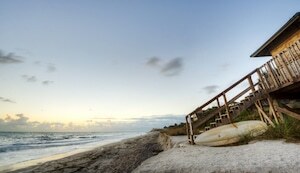 Sebastian is known as a jewel on Florida’s Treasure Coast. Sebastian is also home to Pelican Island, the first wildlife refuge in the US. Known for its beautiful beaches and views of the intra-coastal waterway in the Indian River Lagoon, Sebastian also boasts parks and a dazzling river-front district. Sebastian’s population is approximately 22,000. The city is home to great schools, a diverse culture and concerts and art shows in the park. All Points Medical Waste has been serving Sebastian since 1994 with its document shredding services. All Points Medical Waste began offering biomedical and sharps disposal starting in 2013. At All Points Medical Waste, we pride ourselves on exceptional customer service at great prices. If you are interested in All Points Medical Waste services in Sebastian, please contact us by phone or complete the form on this page.